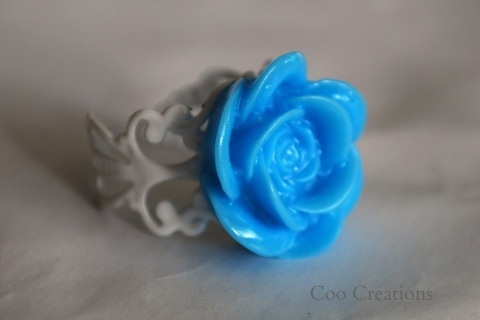 Large blue rose on white filigree adjustible ring. 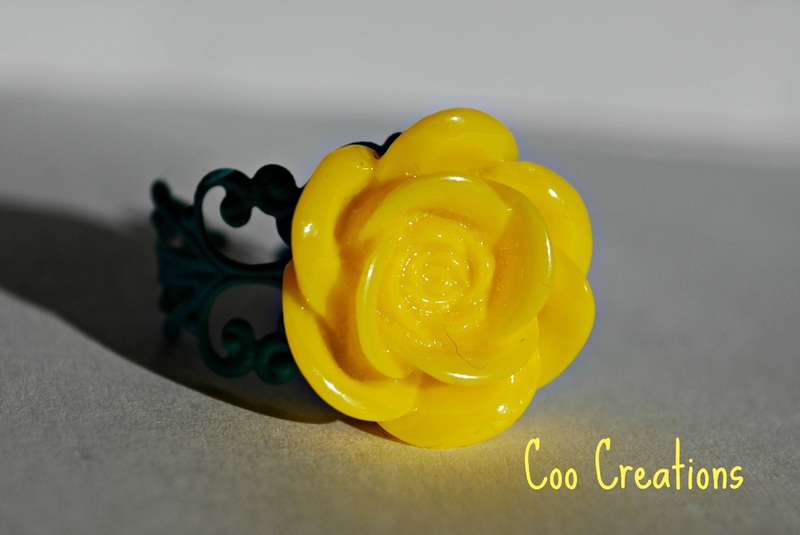 Large yellow rose on a filigree blue coloured adjustable ring. 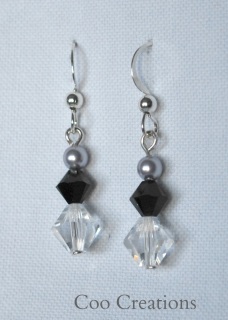 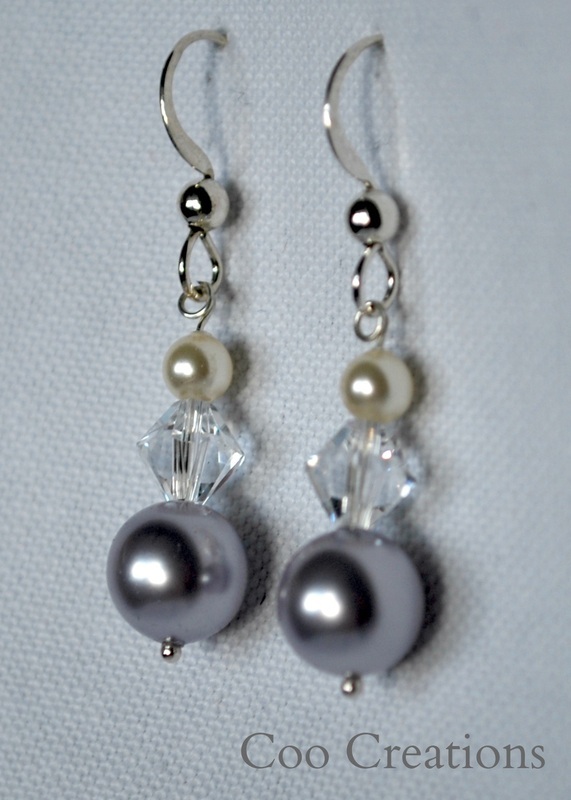 2 Swarovski pearls and a Swarovski crystal on Sterling Silver. 2 Swarovski crystals and a Swarovski pearl. 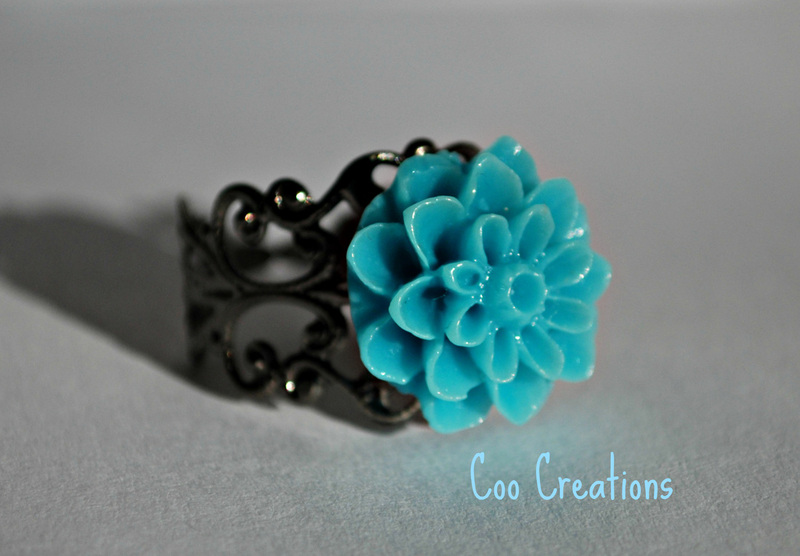 Blue Dahlia on a filigree gunmetal coloured adjustable ring. 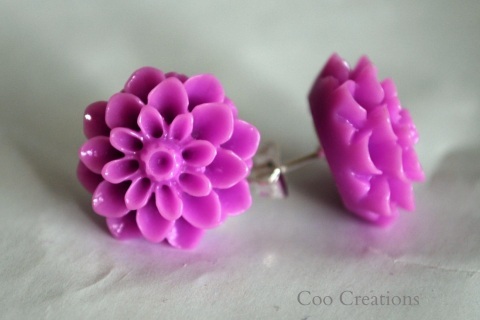 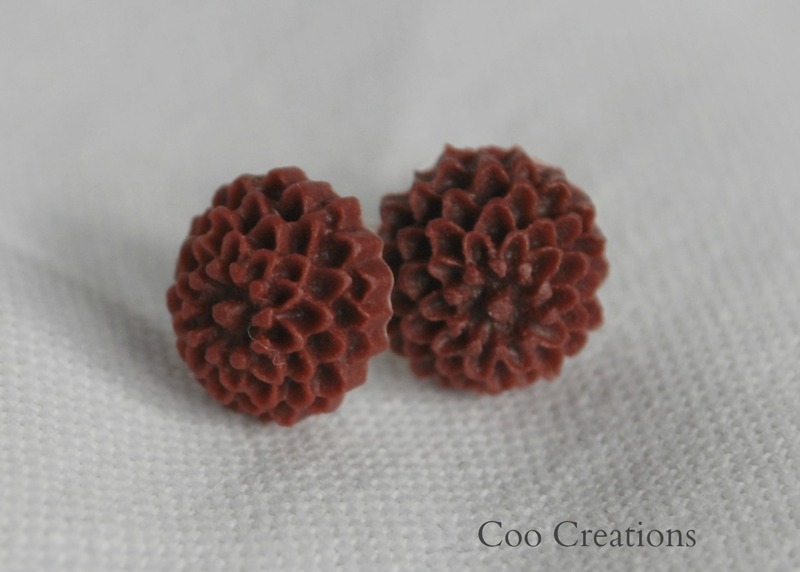 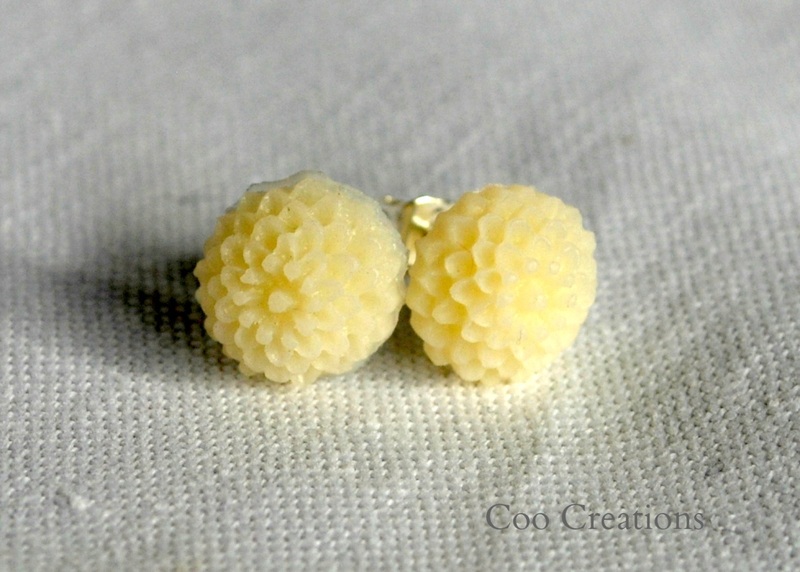 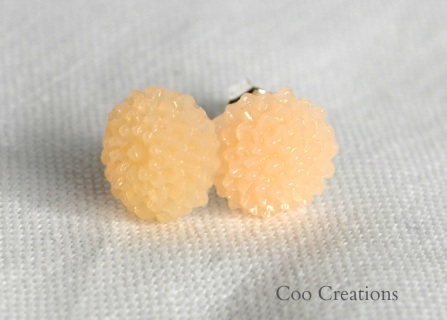 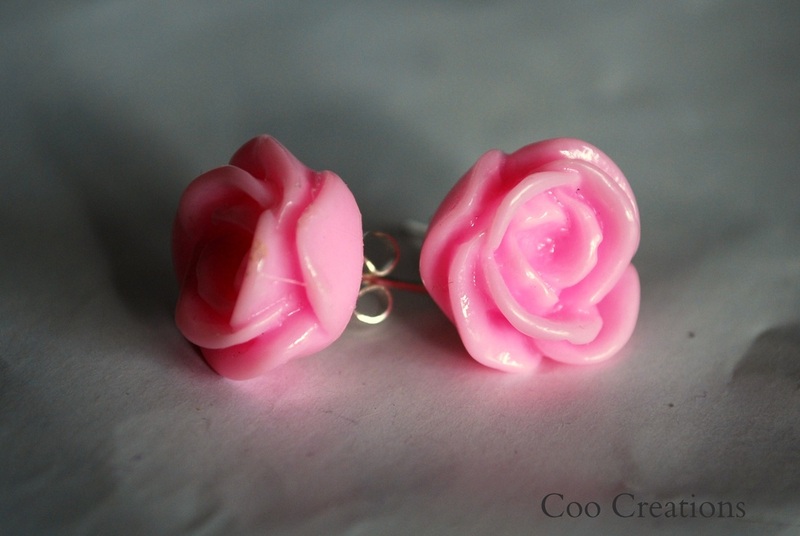 Pale Pink Rose Stud Earrings. 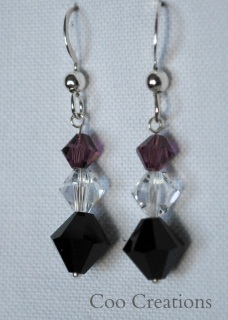 Black, clear and purple Swarovski stack.